We at StickerYou do everything we can to get your order to you on the Estimated Delivery Date. 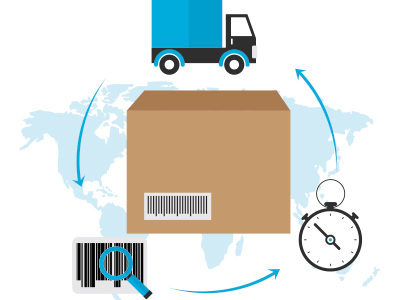 Because we cannot guarantee transit times, we can only offer you an Estimated Delivery Date which reflects our best estimate based on average shipping times. How do I check my order status. Rush: Speedy service, and priority shipping. Standard: Order is shipped via standard letter mail. NO TRACKING available. If your order is time sensitive, we advise you to use RUSH or EXPRESS shipping which are faster services with tracking information. Tracking Information will be active on our transit partners’ websites 2-3 business days after the order has been shipped by our team. If you have any concerns about your order please contact us by filling out our Contact Us form. We use two shipping methods that offer tracking information. If your tracking number begins with a "1Z", then you can enter this tracking number at www.UPS.com or directly into the address bar of your browser. If your tracking number begins with 9114, then you can track your order at www.USPS.com. Learn more about Shipping and delivery times.